Robin Williams: hands of a crazy comic genius! 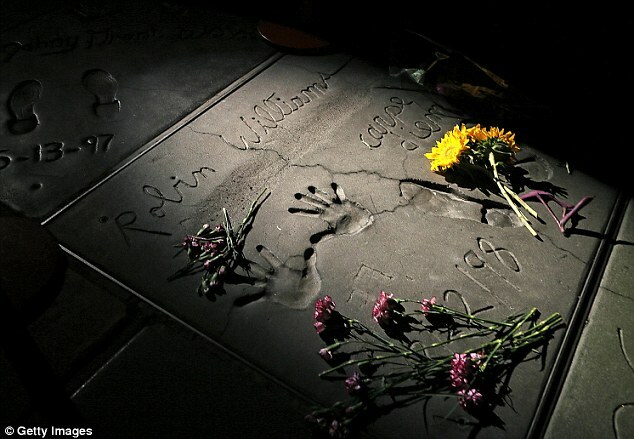 Re: Robin Williams: hands of a crazy comic genius! Thank you Martijn for confirming the lessons I learnt from your research. I know very little about the field of psychology so my question may seem stupid. Is there any research about the connection between suicide and extroversion or introversion? I think most people including me probably have the false belief that introverts are more prone to suicide. What does latest research say about this? Are there any published papers available online? Where did you actually find this link between suicide and introversion? Sorry, I think your thought is merely a speculative association. Suicide is likely a much more complex phenomenon than what your association assumes/suggests (e.g. one should discriminate successful suicides from suicide failures, and suicide ideation is a third different phenomenon). Also, for example there are a few studies available which suggest that 'suicides' are more seen in a personality group where one could actually expect to see low suicide rates: low scorers on neuroticism. So, suicides are often seen in people where one would never expect it! PS. I have tried to answer your question, but I think we went off-topic in this discussion about Robin Williams' hands. I apologize if my question was off topic. So will create another topic if I have more questions. I have not seen any research connecting introversion to suicide. Many people including me just seem to think that introverts are more likely to be depressed & suicidal. Obviously I am wrong. It was entirely speculative on my part based only on anecdotes. Thanks for the links. Will read them. 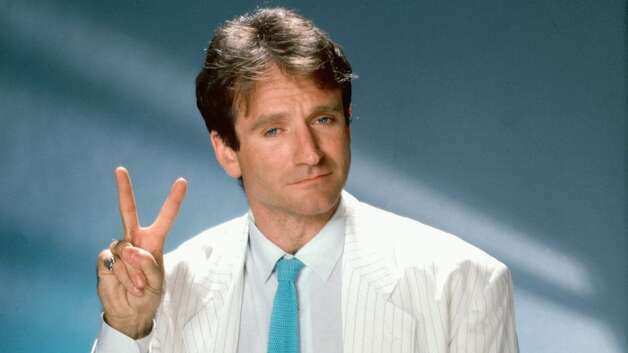 Also are there any indications in Robin Williams hands to indicate suicidal tendencies? Not really, though the strong curve inside his head line (which is stronger than the curve inside his life line) represents sort of an unusual feature that could signal out of control mental behavior. But I am not able to connect this with other likewise factors in his hands... and therefore I am not sure whether this could represent a factor. I was surprised that you Martijn agree that a separation between life line and headline at its beginning denotes an introvert! In all my 21 years of palm-reading practice not even once has this been the case when discussed with the client. As for myself I have a joined headline to life line in its beginning phase and I have never ever considered myself an extrovert. It is only now in my later years that I am finally coming out of myself. So we shall agree to disagree. How would you analyze Williams hand from the 5 Element perspective? Your opinion would be very valuable to many forum readers. The length is of fire quality but flow is of water quality because it seems bit erratic. The thickness is air + fire mix. Am I correct? Does 5 element method classify the quantity & quality of the head and life line join? Sorry learner I have only just seen your question. It's not easy to tell much from the photos, not clear enough. From above big picture of RH : Headline is fire length from what we can see, and fire quality by thickness, but final section appears thinner - air width (or maybe just blurred on photo). Head & lifeline join for a long way, but we can't see from the picture if it is a clear straight line or if there are markings there, so unable to comment on it. PS Looking at the cast of his hand, it seems the headline continues to air length, of finer air or water quality, curving into luna mount. A few more impressions... his finger length appears to be medium (just above 75% of palm length). Thanks Lynn. I do have a follow-up question. But since Martijn pointed out that my questions are off-topic, I will create a new post. nonas_insights wrote: I was surprised that you Martijn agree that a separation between life line and headline at its beginning denotes an introvert! In all my 21 years of palm-reading practice not even once has this been the case when discussed with the client. As for myself I have a joined headline to life line in its beginning phase and I have never ever considered myself an extrovert. It is only now in my later years that I am finally coming out of myself. So we shall agree to disagree. Sorry, your claim that you have never seen an introvert with "a separation between life line and headline" sounds quite unrealistic to me... simply because such individual hand signs never represent a decisive clue. The evidence presented by my extraversion study is quite solid as it is the result of materials collected with a profession personality assessment questionnaire. 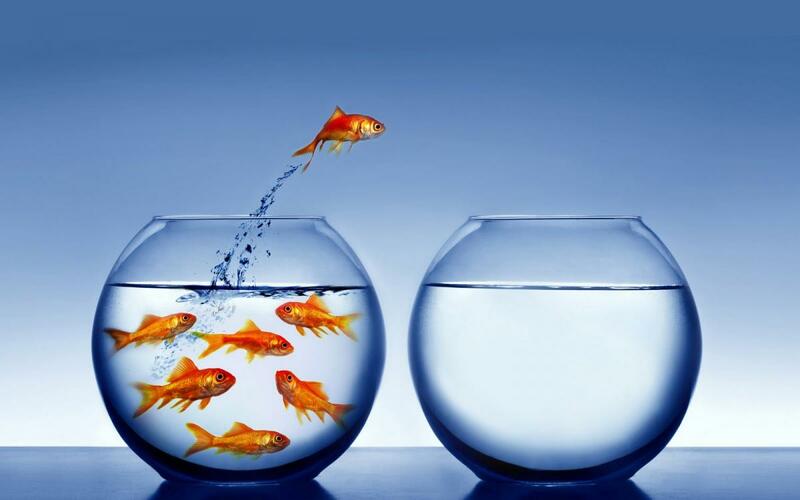 NOTICE: The 'independent' fish jumping first from the bowl to the other bowl can be recognized to represents a symbol for the independent thinker who likes the solitary lifestyle.